If you are in the market for a reliable, tough and sturdy forklift for sale, why not take a closer look at a Mitsubishi forklift? Today the Truck and Trailer team takes a closer look at the different Grendia Series forklifts available. 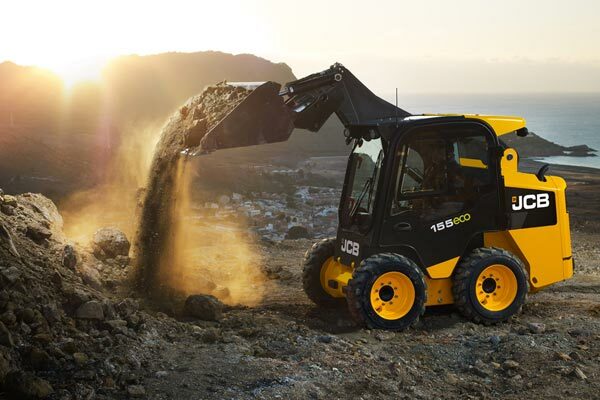 From the 1.8 Ton all the way to the 15.0 Ton forklift truck, here you will find everything you need to know. 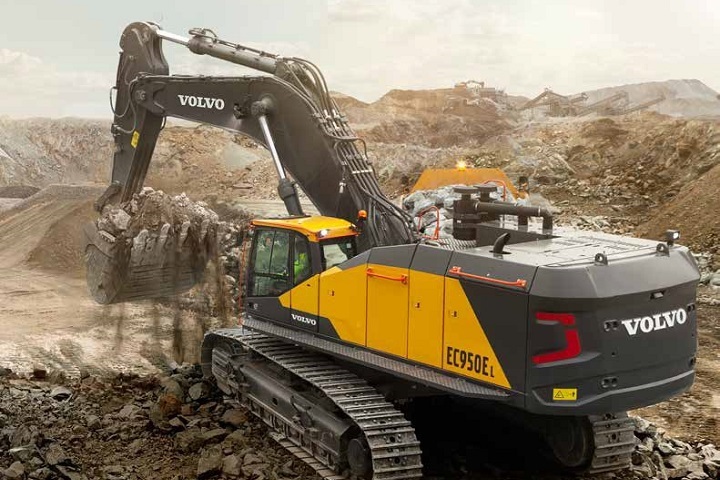 Easy to operate and fuel efficient, the diesel models falling within this load capacity range meet 2007 Emission Standards and even boast enhanced soundproofing and an engine producing lower noise. With safety in mind, the models in this range are equipped with the IPS (Integrated Presence System) from Mitsubishi, specially designed to perform a range of safety functions. This system not only ensures safety measures kicking in when a driver is not seated, but also during the operation of the forklift as well. 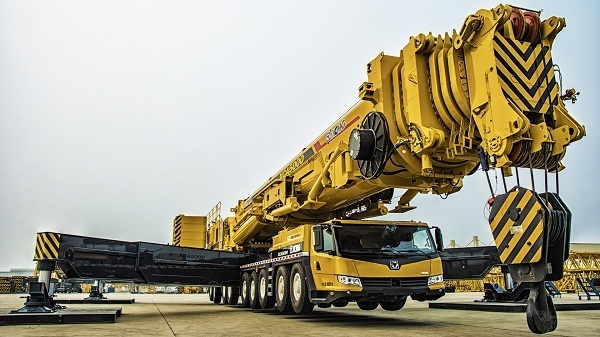 Image Source: Mitsubishi Forklifts Trucks Website. Safety related features you can expect in these models include a Lift Lock (ensuring that the fork is automatically locked when the engine of the forklift is off), a Mast and Travel Interlock, integrated digital monitors, combination lamps (mounted high to signal stopping or braking) and a Neutral Safety. Visibility is also not a problem for the operator. The interior of this particular range of Mitsubishi forklift for sale includes a tilt-able steering column, a comfortable suspension seat featuring support for the driver’s hips, an inching pedal to allow for more delicate operation, hydraulic power steering and functional switches (located to your right), to name but a few examples. Top Tip: If you are looking for used forklifts for sale, visit www.TruckAndTrailer.co.za now! With a low centre of gravity, the diesel models within this range feature a solid frame, a sturdy mast and great visibility for the operator. 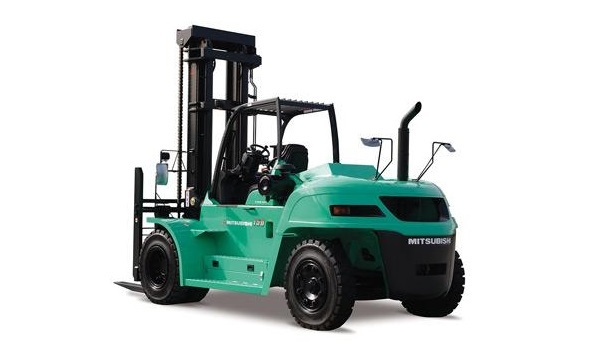 Looking at any Mitsubishi forklift for sale in this load capacity range, you will find a tough base area featuring a one piece cast housing and double pin sealing, effectively supporting heavy loads. Made to meet the high requirements of more demanding applications, this range of diesel engine Mitsubishi forklift models also passed the 2008 Emission Gas Standard. The powertrain of these models are secured to the sturdy frame by rubber mounts. These rubber mounts are specially designed to absorb vibration, resulting in a smoother and quieter operation. Equipped with the IPS (Integrated Presence System) 2, you can expect to find integrated monitors (displaying everything from speed to operating conditions), an interlocking system (entailing that when the driver leaves his/her seat everything from the travel to the mast functions are locked) and a selection of other safety features that entails operations being locked once the ignition of the forklift is switched off. These diesel models also feature hydraulic power steering, an inching pedal (foot operated), a suspension seat that features hip support and an electric shift lever, to name but a few of its outstanding characteristics. As an added benefit, you can choose from a range of attachments and options to make this forklift for sale more customisable. 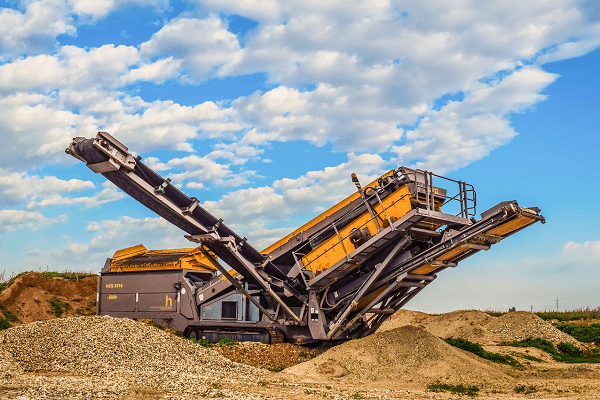 Some of these attachments available include everything from a Panoramic Hinged Fork to a Roll Clamp. Some of the toughest forklifts in the game, the two models in the 6.0 to 7.0 Ton load capacity range are heavy duty, counterbalance forklifts designed to deliver. 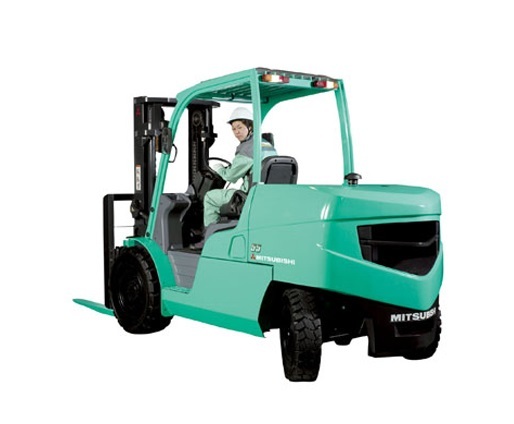 Like the smaller Grendia (1.8 to 3.5 Ton) models, each Mitsubishi Forklift here is equipped with the IPS (Integrated Presence System) and also features Lift Lock, a Mast and Travel Lock, as well as an integrated LED monitor that details everything from water temperature to the parking brake warning light. These forklifts are equipped with responsive hydrostatic steering, an ergonomic design lending itself to the comfort of the operator, an overhead guard catering for both safety and visibility, a mast design that is robust in nature and an adjustable suspension seat that caters for both the weight and height of the operator. With a maximum fork height of 3 300 millimetres and loaded lifting speed of 440 millimetres per second, this model forklift for sale has a powershift transmission and a fully floating powertrain, lending itself to a smooth operation without sacrificing on power. Featuring four models in the Grendia LX Series, you are sure to find a Mitsubishi forklift for sale that will have the power and durability to get the job done. Like the other Grendia Series models, the forklifts in this series also boast the awesome IPS (Integrated Presence System). 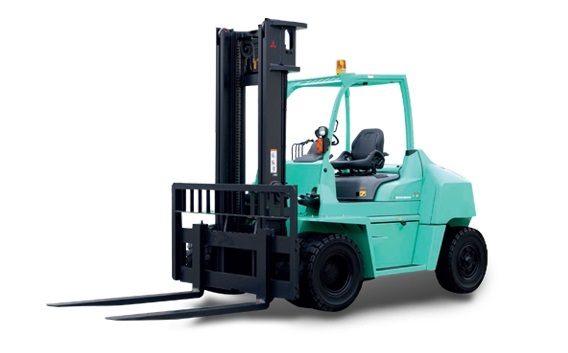 With Lift Lock, a Travel and Hydraulic Interlock, a comfortable seat equipped with sensors (for automatically activating the Travel and Hydraulic Interlock) and even a parking brake alarm, finding a forklift in this series is a good investment when you are looking for tough, heavy-duty machinery. 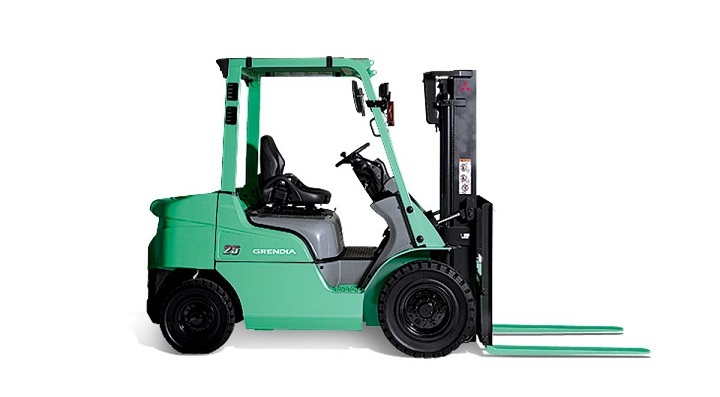 Looking at forklift models in this Grendia Series, you will find that comfort was not overlooked. Featuring an adjustable steering column, a full-suspension seat and hydraulic levers, the seat itself delivers back support while your digital meter panel is within comfortable reach. These forklifts are also equipped with hydrostatic steering and a rear axle that is robust and fine-tuned. The Grendia LX Series forklifts make use of a robust engine assisted by turbochargers, resulting in a powerful piece of machinery that can reach up to 30 kilometres per hour. Ready to find a Mitsubishi forklift that will meet the tough demands of your industry? Browse through Truck and Trailer’s amazing deals and find a forklift for sale that not only suits your budget, but your needs as well. With a range of used forklifts for sale to choose from, you are guaranteed to find the perfect model in the best condition.